Meditation and Practice for those that have passed away. In Buddhism, helping someone to die well is one of the most important gifts we can give another person. 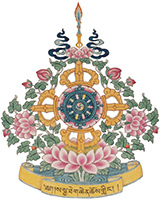 If you have a loved one who has passed away, you can help them (even if it has been many years since their death), by having the Sunday morning Shitro group do prayers on their behalf. Email a) the person’s name; b) the date they passed; c) your name (the requester); and d) a photo so the group can visualize your loved one to: monastery@sakya.org. Put “Shitro Prayer” in the Subject area.